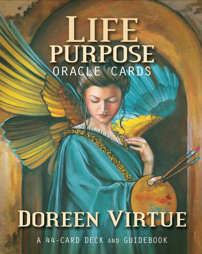 Angel Oracle cards tap into Angelic presence to guide you towards your best life. Angels provide insight into everyday life concerns like relationships, career or finances. Angels provide gentle and direct messages of guidance and love while providing peace of mind and confidence in decision making. Angel card readings can be done in person or remotely. A typical reading is 3 cards- representing past, present and future. You can ask a specific question or about a situation in your life… or just let the cards guide you. Sessions are approximately 15 minutes.